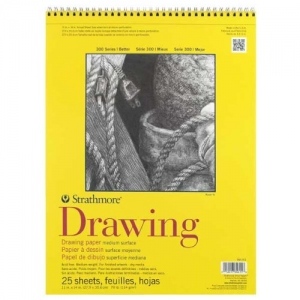 A medium weight student grade drawing paper for final artwork. 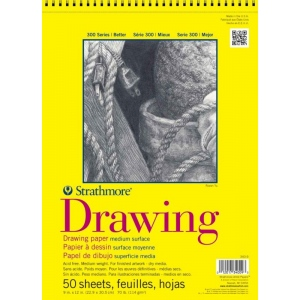 * It has a good erasability and it has a very good rating for pencil colored pencil charcoal and sketching stick. 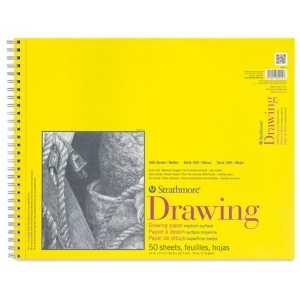 * It is also rated good for marker mixed media soft and oil pastel. * Medium surface 70 lb. Acid-free. * Wire bound micro-perforated sheets.